Passengers can now order wider, more comfortable seats, with an exclusive menu to choose from when purchasing flights in Premium Economy. Their partnership with BA and alliance with American Airlines, Finnair and US Airways allows hassle-free carriage to a wide variety of destinations! 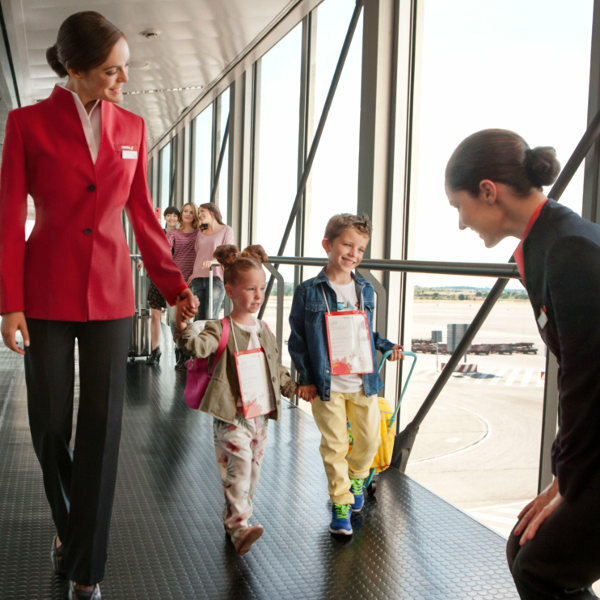 Parents can now rest easy as children (5 – 17 years old) travel safely, with a designated crew member with them from the start to end of their journey. Perhaps the airline with the longest name in the world, Spain’s national carrier’s full moniker rings: Iberia, Líneas Aéreas de España. It was officially established in 1940 and started out serving destinations within Spain exclusively. In 1946, however, it became the first airline to instate flights between Europe and South America in the wake of WWII with the launch of routes between Madrid and Montevideo and Buenos Aires. In more recent times, Iberia and British Airways merged in 2010 to become the International Airlines Group, however both still operate under their own names. Book Iberia flights to Madrid, Barcelona, Athens and other exciting destinations! Depending on which route you fly, baggage restrictions will either be implemented via a piece or a weight concept. Same baggage allowance as adults, with the addition of a light-weight foldable stroller. Passengers are advised to check in at least two hours before the scheduled departure of their international flight. Online check-in opens 24 hours and closes two hours before the scheduled departure of flights. All passengers, both adults and children, must be in possession of valid identification documents, their passports, and any visas required. If you are unable to produce identification and any other documents required, you will not be allowed to board the flight. Relax in comfort when you fly Business Class and enjoy the gourmet meal on offer and more. 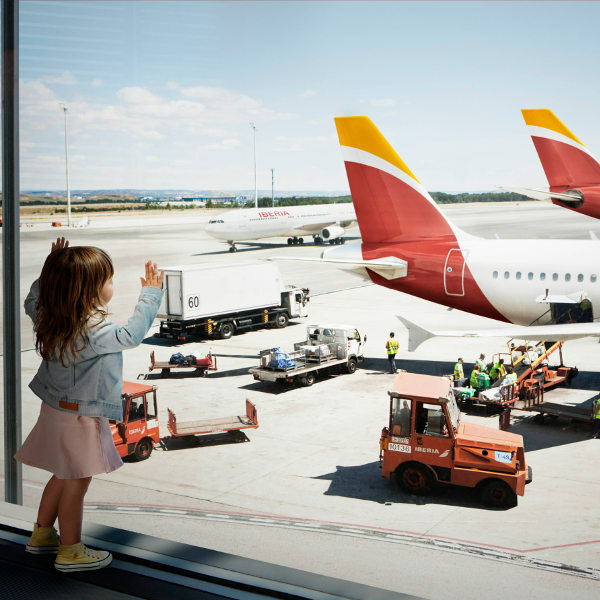 Iberia’s main hub is located at Adolfo Suarez Madrid-Barajas Airport and Barcelona El Prat Airport. The airline flies to over 102 destinations in 39 countries. 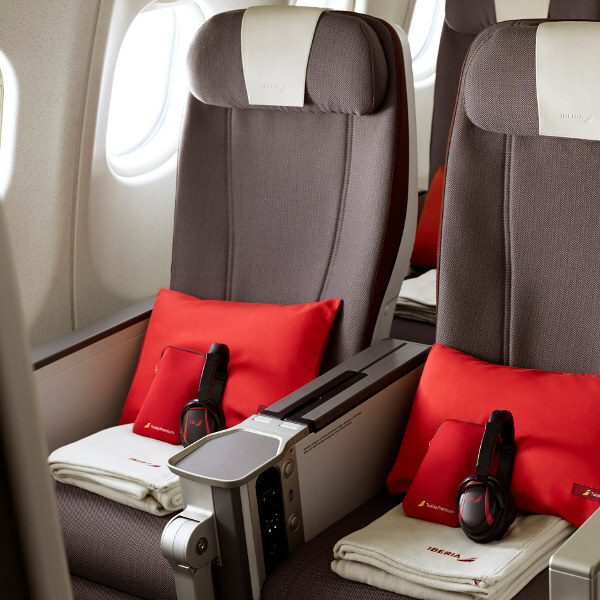 Iberia launches its new Johannesburg - Madrid route in April 2019, featuring an upgraded Premium Economy Class service aboard its A330-300 aircraft.